Mesh Sleeve Stretch Velvet dress will be your favourite evening LBD. 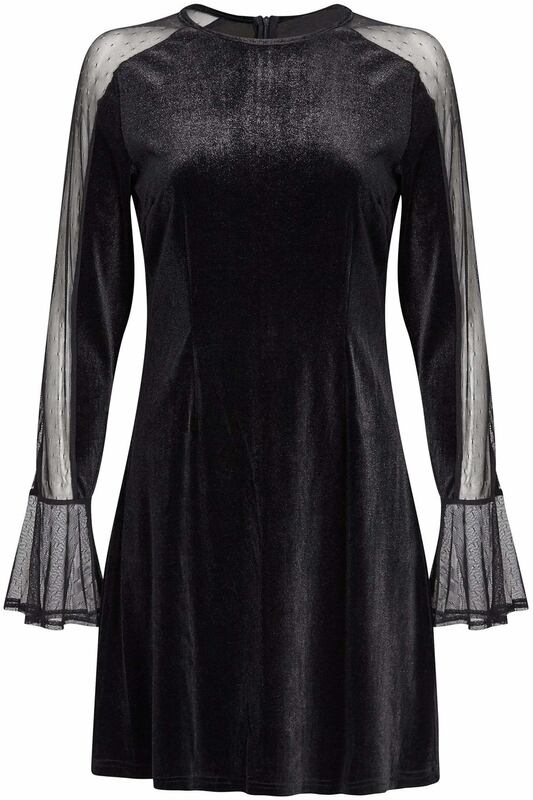 In a flattering relaxed style and made from soft stretch velvet, has beautifully tailored sleeves with elasticated tulle inserts and flared cuffs. Is approx. 90cm in length, is not lined and has concealed back zip fastening. Winter collection. Composition: 93% Polyester, 7% Elastane. Color: Black.